Register for the Academy Street Strut today! Ladies unite for the Academy Street Strut, a celebration of women, fitness, and supporting our local nonprofits that serve area women, men, children, and families. The post-strut party lunch is sponsored by the Humble Pig. The wine glass and lunch party are included with the regular Strut registration, but if you don't want to strut you can sign up just for the party and still get a great wine glass! A portion of the proceeds raised by the Academy Street Strut will go to support area non-profits as selected by the members of the Cary Women's Giving Network. Following the 1 mile strut there will be a party at the Cary Chamber of Commerce with a variety of beverages! Invite your friends, co-workers, mother, sister, daughter - everyone really! - to come strut their stuff with you! If you're looking for a great ladies day out of the office.... come strut! For more great charity events, check out Fit & Able’s full race calendar at FitandAble.net. * Party awaits at the finish! Race Location: Cary Chamber of Commerce (307 N. Academy St., Cary, NC 27513). Parking: Parking is available at the Cary Chamber of Commerce and the Herb Young Community Center. Course Information: The course starts and finishes at the Cary Chamber of Commerce, crosses Academy St. to Cary Town Hall, and heads towards the Cary Art Center on the sidewalks and then back to the Chamber. Restrooms are located at the Chamber. Events: All Fit & Able Productions events are inclusion events: anyone of any age, skill-level, or ability can reasonably participate in any race! Events are chip-timed with results posted online. No dogs, bikes, or strollers permitted in any race! 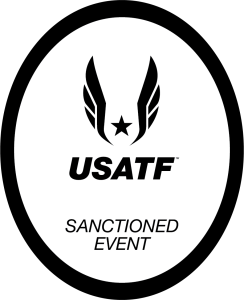 Packet Pick-up: USATF requires all participants to show a photo ID (or be with a guardian with a photo ID) in order to pick up their packet. Participants may only pick up their own or a minor child’s race packet. Race Souvenirs: Academy Street Strut shirts are available for $20 (while supplies last!) and participants will receive a nice finishers gift. Online registration closes on April 21st at 9 PM. Cash, checks, and credit cards are accepted at the event. We can't wait to see you at the Academy Street Strut! The Academy Street Strut and all its participants are subject to these event policies. Information from this site is often shared to other online sources that aren't updated when changes are made here. This site is the only official and updated source for information regarding this event. All registrants are automatically subscribed to the Fit & Able newsletter and may unsubscribe at any time. Fit & Able Productions is a nonprofit organization that has supported community and family fitness in Cary since 1997 through organizing creative events and training programs. Proceeds from our events that aren't designated for other organizations help support Fit & Able’s programs and activities. Refer 5 or more friends to join you using the unique link in your confirmation email and get a refund of up to $15.00!